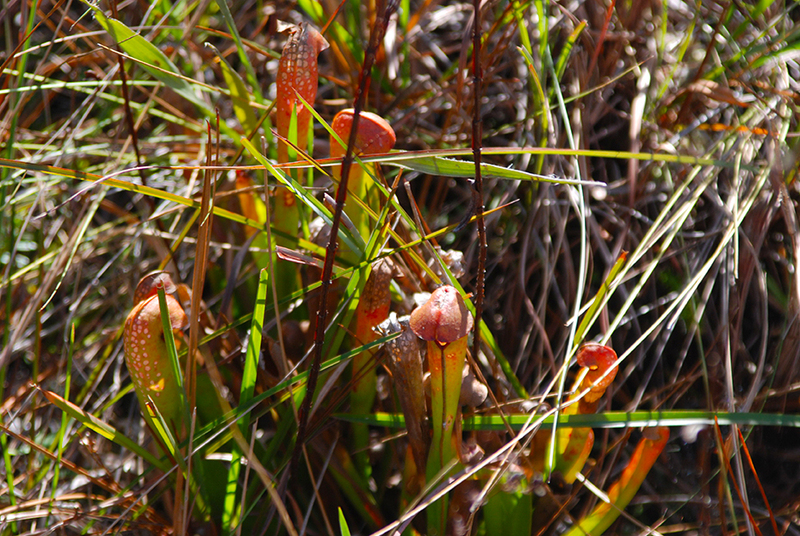 Florida's Pitcher Plants | Florida Hikes! 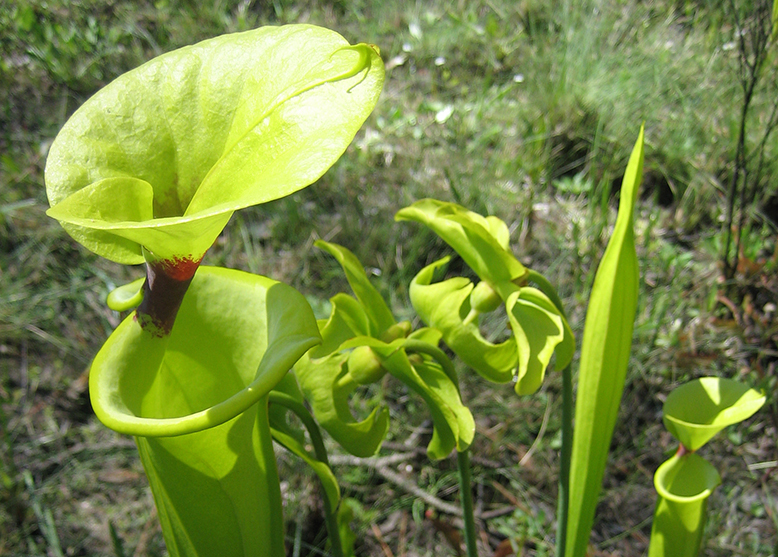 Pitcher plants (Sarracenia) are the largest and showiest carnivorous plants in Florida. 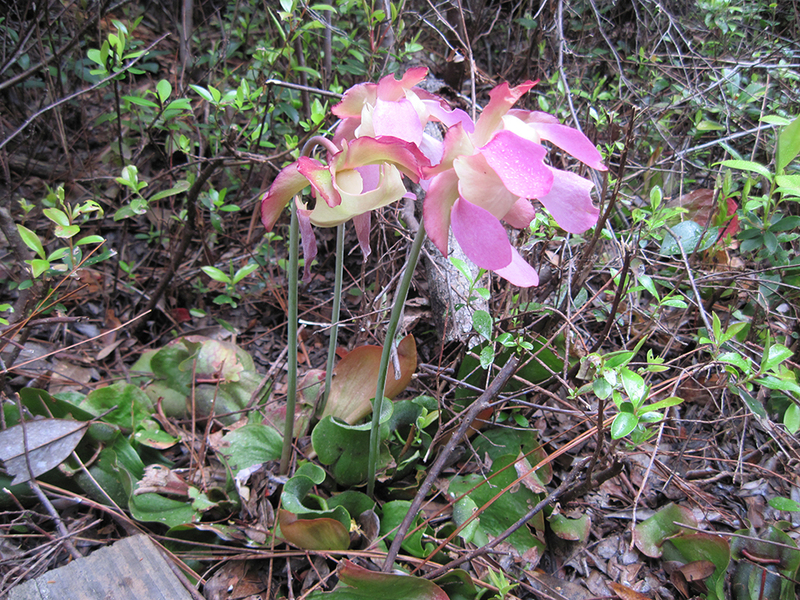 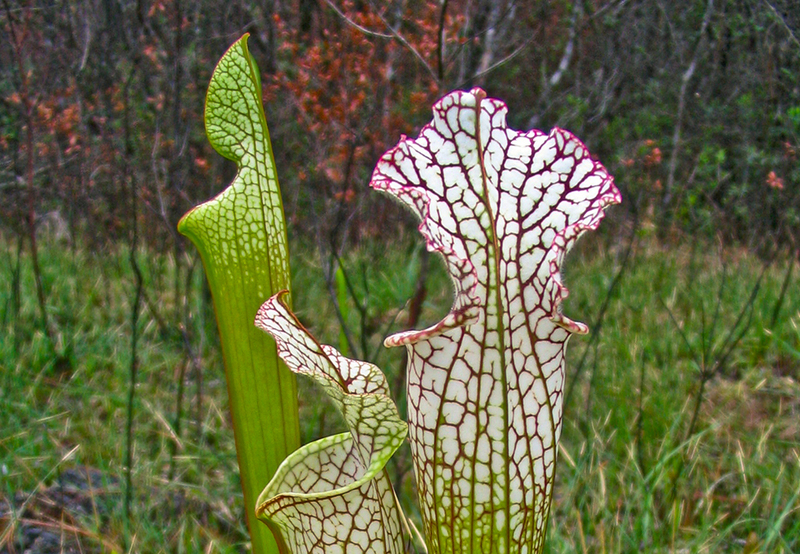 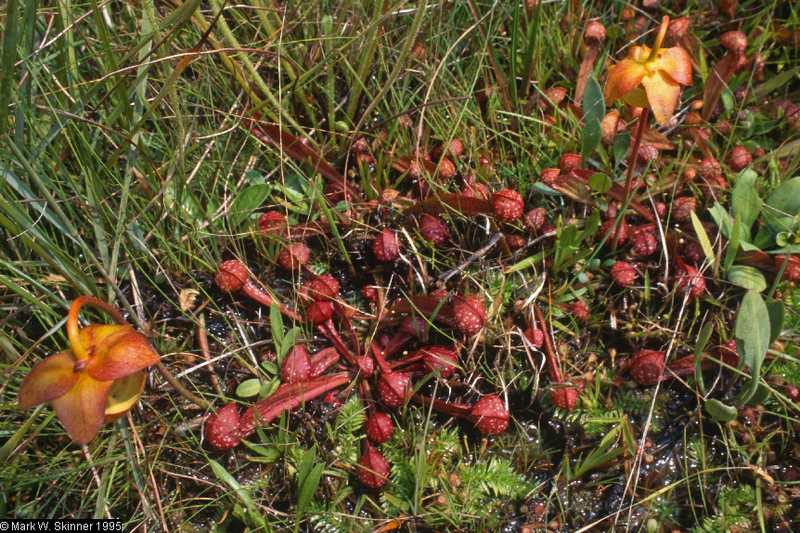 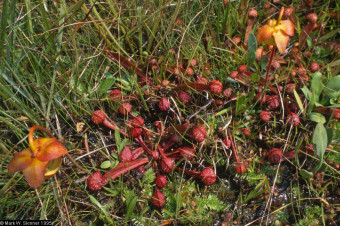 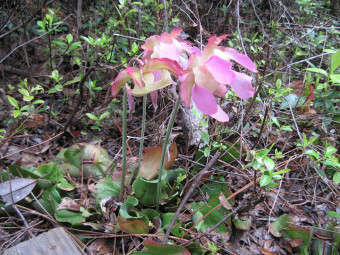 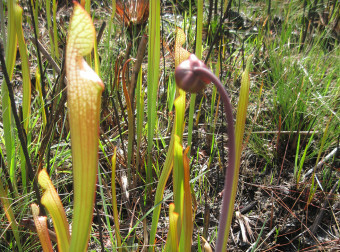 Six Sarracenia species are found along Florida’s trails, with their highest concentration in Northwest Florida. 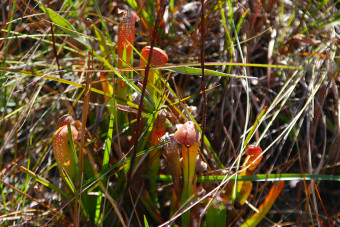 They range as far south as Okeechobee County but are easiest to find in the westernmost counties of Florida. 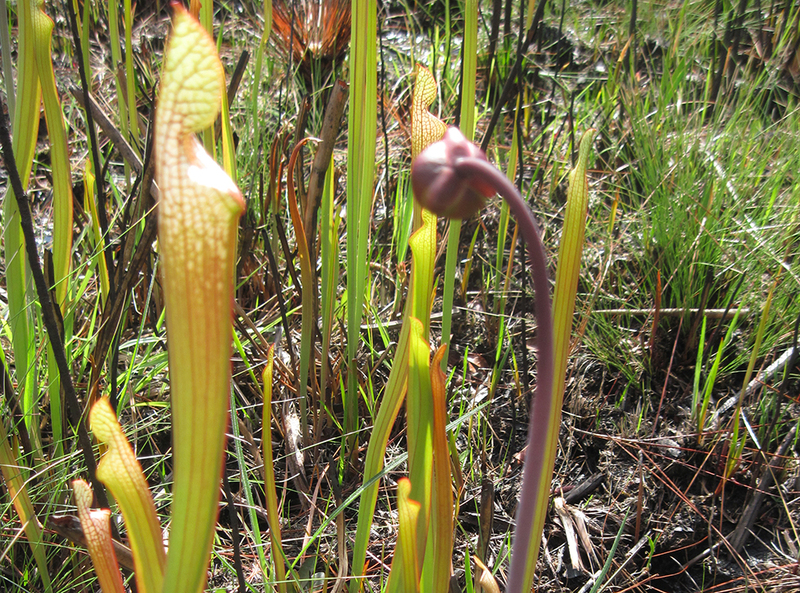 For in-depth details on Florida’s pitcher plants, see this page by Dr. John David Tobe, presented by Florida DEP.